The next few weeks provide the perfect opportunity to glean insights into 2019’s first property hotspots and specialist French property agents FrenchEntrée have already begun, highlighting Normandy’s excellent credentials. Birthplace of the iconic Christian Dior, Normandy is home to an incredible array of chic, elegant homes that will impress even the most fashion-conscious of buyers. Normandy has just earned a spot on Lonely Planet’s Top Regions list, as part of the Best in Travel 2019 highlights. Its delightful beaches, superb cuisine (in particular its seafood, cheese and cider) and rich heritage all contributed to its inclusion as one of the globes most spotlight-ready regions. Homes in Normandy provide plenty of choice for those looking for a permanent base in the area. From classic French chateaux with elegant chandeliers, marble floors and intricate woodwork, to stylish, contemporary homes that blend traditional features with modern twists, the region’s properties are exceptionally varied. Packed with beauty, elegance and style, Normandy’s children have found much to inspire them in their native region. Musicians, composers, poets, novelists, actors, filmmakers, sculptors, painters and many more creative types have proudly called Normandy their home over the years. This beauty flows through to its property market, which is tipped to delight second home buyers with a wide range of budgets as one of France’s most elegant and exciting property hotspots of 2019. The beautiful, listed, 17th century chateau is set in wooded countryside and offers picturesque elegance for the discerning buyer. The property comes with an outdoor pool, tennis court, indoor pool with bar, sauna, hunting lodge, two caretakers’ homes and 74 hectares of parkland. Internally, the property features large and small living rooms, a billiards room, dining room, 11 bedrooms, two upper level living rooms and seven bathrooms (in addition to various ante rooms, dressing rooms, en-suites and service rooms). Price on application. For those with a spare €1.95 million, this superb, authentic 18th century chateau will tick all the right boxes. A listed Historical Monument, it has suffered hardly any modifications since its construction, offering a traditional taste of luxury living in Normandy. Marble flooring, intricate wooden paneling, moulded ceilings and refined fire places abound. Meanwhile, this spacious former farmhouse, which is on the market for €780,000, will suit buyers seeking a more modern style of home. The two restored houses have been carefully balanced with the surrounding countryside, to minimize their environmental impact. Both arranged over three floors, the homes offer flexible living accommodation that could easily be used as the basis of a bed and breakfast/gîte business. For further information, contact FrenchEntrée on +44 (0)1225 463752 or propertysales@frenchentree.com. You can also visit https://www.frenchentree.com/property-for-sale/. Specialist French property agents FrenchEntrée have revealed that buyers are increasingly putting convenient flight routes at the top of their priority list when it comes to seeking out the perfect second home. In the latest such instance, a couple with a budget of €500,000 for a gîte business have made ease of access to Bordeaux the primary focus of their search. The news comes just as Ryanair has announced that it is to launch to new French bases for summer 2019: at Bordeaux and Marseilles. For the couple in question, convenient flight routes to Bordeaux mean that their business will appeal to a wider customer base. However, it is not just those with business plans in mind who are prioritising easy air travel. According to the FrenchEntrée team, those buying second homes for personal use are also increasingly keeping an eye on flight routes. Ryanair’s new base will make Bordeaux more easily accessible from the UK, as one of 24 locations that the airline will offer from the French city. With a population of just over half a million, Bordeaux is located in the Aquitaine region of south west France. It is known around the world for its outstanding wines and also has a lively spirits industry. The surrounding area offers everything from country pursuits to surfing – Aquitaine’s Atlantic coast is considered to be the best surfing spot in Europe and is home to Europe’s largest beach at the Bassin d’Arcachon, a natural inland sea. As well as appealing to tourists and second home owners, Bordeaux is a thriving working city. It is home to some 60,000 students and a number of large corporates have recently relocated their international hubs to the city. High-tech industries such as aeronautics are particularly prevalent. British buyers have also played a role in pushing up prices, opting for spacious second homes in the suburbs and surrounding countryside, just as demand from French professionals and their families has pushed up prices in the centre. According to data from the Notaries de France, Bordeaux has experienced higher property price rises than any other French city over the past 20 years. House prices have risen by 215% over that period, while apartment prices have risen by 248%. In 2017 alone, Bordeaux prices shot up by a staggering 16%. Many attribute the sharp rise to the opening of the high-speed TVG train connection with Paris (a journey that now takes just two hours). 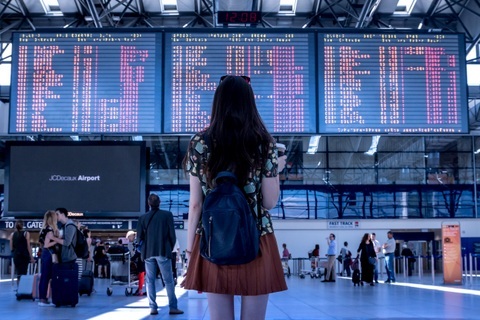 In terms of those all-important international connections, British buyers can now enjoy regular flights to Bordeaux with British Airways, flybe, easyJet and bmibaby, as well as the new Ryanair offering. Buyers looking for their own slice of one of the world’s most famous wine-making regions will love this beautiful chateau with 25 hectares of vines in the Côtes de Bordeaux AOC, which comes complete with tennis court, heated pool, vaulted cellars and guardian house. For those who prefer to drink wine rather than make it, this spacious villa with large swimming pool and extensive garden is sure to appeal. The stylish property comes complete with a double garage, wine cellar and separate pool house. And for those looking to enjoy Ryanair’s new routes to and from France’s second largest city, Marseille, this stunning contemporary townhouse offers something truly unique. The property has been designed across three levels, to deliver a feeling of being out at sea. Terraces off the bedroom and bathroom offer uninterrupted views across the sea to the islands of Frioul. Winter sun destinations at their best – is now the perfect time to buy property in Chamonix? Knight Frank’s new Ski Property Report 2018-19 has provided an encouraging snapshot of the French market’s performance in the year to June 2018. None of the French resorts that the company monitors recorded a decline in prices over the year, with Val d’Isère and Chamonix recording the healthiest rises, of 3.0% and 2.3% respectively. The uptick in prices makes now the ideal time to buy in Chamonix, according to specialist French property agents FrenchEntrée. Chamonix’s future plans include a new lift at Grand Montets and 10-seater gondola at Flegere and a renovated lift station at Le Tour. The upgrades are part of a €477 million, 40-year investment plan, which – according to Knight Frank – means the resort is well positioned in terms of potential property price rises. Those buying second homes in Chamonix not only have an idyllic ski resort on their doorstep, they also have excellent income potential as a result of their purchase. During the high season, a four-bedroom chalet in Chamonix can command a rental income of €4,600 per week, with occupancy averaging 90-100%. In low season, occupancy of 60% is realistic. 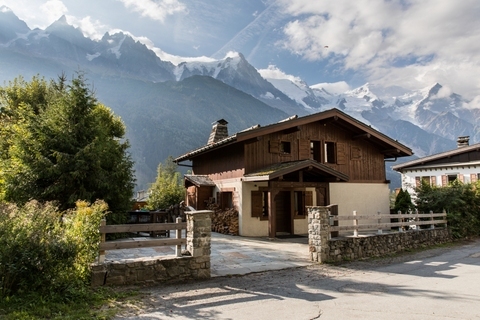 In terms of properties available, Chamonix buyers have some superb options. Brand new on the market and priced at €8.95 million is Le Lustre, a duplex apartment in the historic the Pas de Chevre building in the very centre of Chamonix’s pedestrian area. Four years in the creation, the apartment offers four en-suite bedrooms, 360 degree views of the mountains and a sizeable roof terrace in an unsurpassed location. Also new to the market is Chalet les Nants. Just a 10-minute walk from the centre of Chamonix, and at the extremely reasonable price of €1.8 million, the four-bedroom chalet is spread over three floors and offers a magnificent family home, including an open-fire, a large, south facing terrace with hot tub and views of Mont Blanc. A 10-minute drive from Chamonix, at the lovely family resort of Les Houches, prices are even more reasonable. Chalet Lothier costs just €1.245 million. The large, light-filled chalet includes four bedrooms, living room with open fire place, pool room and cinema room. The decent-sized garden and balconies provide plenty of space for enjoying the spectacular mountain views. Of course, Chamonix prices aren’t for everyone. Thankfully, there are other areas of the French Alps that have excellent potential, for more affordable prices. Homes by Lake Geneva can be picked up for well under €1 million. Just five minutes from the centre of Evian, this captivating, three-bedroom chalet boasts superb lake views and is on the market for just €795,000. Over in Bourg St Maurice, a beautiful, centrally located, four-bedroom apartment can be picked up for as little as €520,000. New data from specialist French property agents FrenchEntrée has revealed the top three areas that are generating buyer enquiries in France right now. Traditional favourites such as Paris and the Côte d’Azur have been eclipsed by the three latest hotspots: Limousin, Poitou-Charentes and Provence. 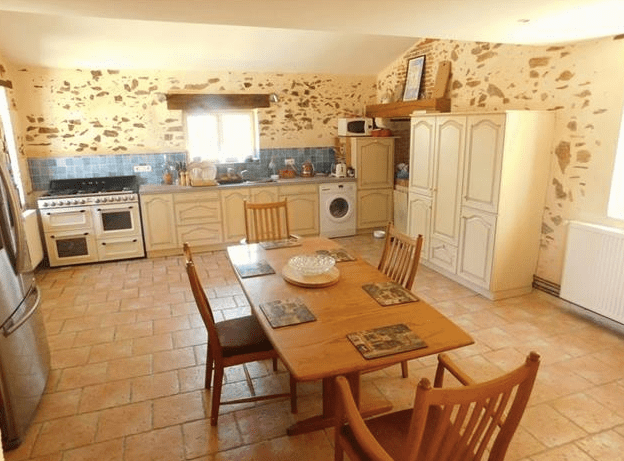 Limousin is known for providing excellent value for money when it comes to property. Located in France’s hilly southwest, it has been part of the new Aquitaine-Limousin-Poitou-Charentes region since the start of 2016. Its three departments – Corrèze, Creuse and Haute-Vienne – are some of the most sparsely populated in the country, making this a great area for buyers who are looking to reconnect with nature. Traditional, rural properties abound in Limousin. Stone houses with plenty of land can be picked up for well under €175,000. In fact, that budget would be sufficient for a traditional house with outbuildings, mature fruit trees and an above-ground pool. Tradition and history live on in Limousin, making it the perfect escape from the excesses of the Digital Age (though with modern facilities and connectivity on tap as needed), while the serenity of all that open pastoral land provides its own form of peace. The area also has a notable cultural offering, from the galleries of Brive to the abundance of fine art, sculpture and paintings to be found in Guéret. Neighbouring Poitou-Charentes, meanwhile, is known as the home of vines, sunflowers and friendly locals. It’s another excellent place to buy properties with a decent parcel of land for a great price. The larger towns (Angoulême, Cognac and Saintes) offer year-round entertainment options, while the smaller towns and villages provide a wonderfully peaceful setting outside of the summer season. As well as its coastal areas, Poitou-Charentes is also home to a number of leisure lakes, offering swimming, walking and water sports. Properties near the lakes include some impressive rural residences. €300,000 is enough for a four-bedroom house with 11 acres of land and stream, with stables and fenced grazing land, just minutes from the lakes of Haute Charente. Provence has, of course, been familiar to British property buyers since Peter Mayle’s famous 1989 tale of terrible weather, black market truffle dealers and the quirks of the French labour system. Mayle’s bumbling, entertaining attempts at integration inspired many British buyers to give Provence a try. Today, many of the area’s attractions remain largely the same as they did back then. Next to the playground of the rich that is the Côte d’Azur, Provence offers a more laid-back alternative, though still with stunning surroundings. This extensive area encompasses everything from coastal settings to the Alps. Summer and winter sporting options mean that the area is popular with tourists year round, with many heading into the mountains in the summer months for lakeside frolics away from the more intense heat of the coast. Provençal properties are considerably more expensive than those in Limousin and Poitou-Charentes. A characterful 19th century farmhouse with pool, set in 1.6 hectares of land, will set buyers back €590,000. The French property market offers some absolute gems when it comes to homes with history. Indeed, specialist French property agents FrenchEntrée report that buyers are spoiled for choice when it comes to dwellings from key periods of the country’s history. The 17th century saw the true beginning of the French Aristocracy flaunting their wealth, with chateaux up and down the country playing a prominent role in this. Subtlety was certainly not the order of the day, resulting in some beautifully extravagant and luxurious homes. Louis 14th and his Palais de Versailles were at the heart of it all, with wealthy countrymen across France racing to showcase their money and influence. It was the French Revolution that finally put paid to this excessive display of wealth. In the turmoil and chaos that enveloped France, many chateaux were torn down in their entirety. While the grandiose properties themselves have been lost, however, their legacy lives on. The FrenchEntrée team points out that many of the stones from the aristocracy’s destroyed homes were used to create other, more humble dwellings. Fast-forward to the end of World War II and France – particularly Paris – has some superb examples of post-war properties. With Paris at the heart of the fashion industry, they city’s reputation for elegance spilled over into its property market, as the wealthy used their homes to show off their outstanding, cutting edge taste. Penthouse apartments with views of the city were essential for those looking to cement their social status, while iconic brands such as Louis Vuitton, Chanel and Dior inspired the building and décor of apartments in minimalistic fashion. The rise of celebrity culture in the 21st century reshaped France’s property market once more, drawing attention towards the playgrounds of the rich along the country’s south coast. From the average second home buyer’s perspective, a mansion in Cannes may be a little too much of a stretch. Thankfully, France has a wealth of properties available to suit a range of tastes and budgets, meaning that those seeking a piece of the country’s history should be able to find the perfect French residence. This listed 17th century chateau exudes luxury. 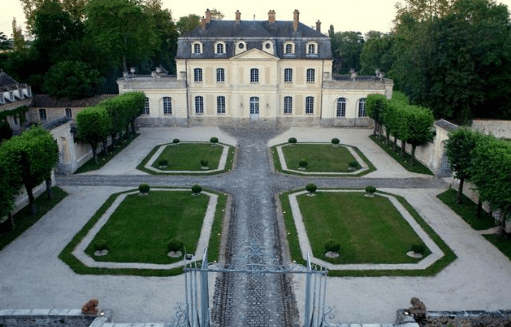 Less than an hour from Paris, it is a superb example of a symmetrical chateau, with the central front-body on three levels and two ground-floor wings flanking it, in arcades covered by roof terraces. The grounds include formal gardens, an orangery, greenhouse and kitchen garden. Asking price: €14.7 million. For history buffs, this four-bedroom house in Fox Amphoux, just 6 km from Cotignac, is bound to appeal. Fox Amphoux was the home town of Barras, one of the figures of the French Revolution, and this hamlet house was built using the stones of the castle. Beautifully renovated and with delightful country views, it is available for €275,000. In the heart of Paris, with views of the Arc de Triomphe, this incredible apartment is spread over an entire floor of a 19th century building on the elegant Avenue Marceau. The property marries historic architecture, with fireplaces, parquet and mouldings, and stunning contemporary design. On the market for: €7.3 million. For the ultra-wealthy, this exquisite private estate on the French Riviera includes three five-bedroom villas, a two-bedroom villa and a staff residence of five studios and one apartment. The contemporary estate offers unparalleled luxury in complete seclusion, with a 4km outdoor fitness trail, tennis court, three heated swimming pools, spa, olive groves and even its own helipad. Price on application. Specialist French property agents FrenchEntrée have revealed that premium properties and rental homes are top of buyers’ shopping lists when it comes to Paris property right now. A core demographic of wealthy foreign nationals, primarily from the UK and the US, are scouring the market for properties costing from around €700,000 and upward. Paris’ residential real estate sector is the most sought after in the world for the super-rich, according to a recent study by Knight Frank International. The city experienced record growth in the price of its residential properties during 2017, in the face of a shortage of housing stock, but the price rise has done little to deter premium property buyers. Rents in Paris are rising hand in hand with property prices. Rent caps were scrapped by the French courts last year. Since then, the National Association for Consumer and User Protection (CLCV) has observed that more than half of all rents in the capital have increased in the past six months. Popular hotspots for foreign buyers’ opulent pied-à-terres and rental apartments are the 6th and 7th Saint Germain des Pres arrondissements, and the 3rd and 4th arrondissement, particularly the upmarket district of Le Marais. Budgets in these areas average between €1 million and €1.5 million, according to the FrenchEntrée team. Once a quaint neighbourhood, Le Marais is regarded as ‘old Paris.’ The quartier was developed by the bourgeoisie starting in the 16th century and is now one of the city’s most vibrant areas. 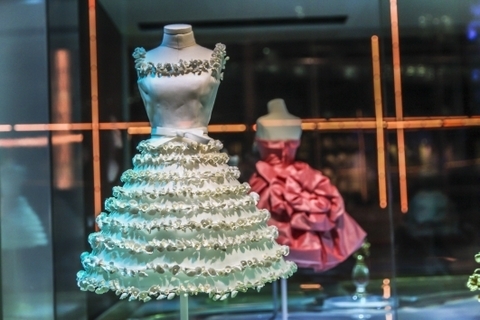 With its fine array of galleries, museums and boutiques, it’s popular with art enthusiasts and fashionistas alike. The most interesting area for buyers considering Le Marais is the Haut-Marais, which is further away from the river and close to the République Métro stop. Current hotspots include north of the Rue Rambuteau, south-east of Republique, the Square du Temple and the Marché des Enfants Rouges, the city’s oldest food market, which is packed with rambling food stalls. The Haut-Marais is now a hip district that offers a great rental return to property investors. With a wealth of bars and restaurants, bustling nightlife and close proximity to République, it’s a sought after area for young professionals, meaning that investors have plenty of tenants queuing up to rent their apartments. Le Marais is largely free of Haussmanian architecture and, with its maze of winding streets, is often described as having a ‘village’ feel. Buyers should budget around €12,500 per square metre as a base point, and possibly higher for well-renovated apartments with a lift in the more popular areas. Studios are particularly popular and snapped up quickly. In terms of returns, a studio in good condition and rented furnished will fetch €1,500 per calendar month, including agency fees, while a nice but compact one-bed will bring in €2,000 pcm, and a two-bedroom €3,000 pcm. Le Marais, Square du Temple: This romantic, decadent property is evocative of Madame de Pompadour’s boudoir. This unique property, in a 17th century building, overlooks the beautiful Square du Temple and is priced at €1,680,000. Le Marais, Place des Vosges: Located just off the famous Place des Vosges, the jewel in the crown of the Marais, this beautiful three-bedroom apartment, priced at €1,680,000, is on the first floor of a classic Parisian building with high ceilings, period features and plenty of character. Saint Germain des Pres, 6th arrondissement: Found in an exceptional location in the heart of Saint-Germain-des-Prés, this luxury apartment is tucked away on the third floor of a period building dating from 1850. Available for €1,575,000, the apartment includes a distinctive antique fireplace, a balcony and outstanding city views. Latin Quarter, 5th arrondissement: This beautiful two-bedroom property, in an historic enclave just a few steps from the Seine and Notre Dame cathedral, blends exceptional features with contemporary comfort. It is on sale for €1,157,000. At the end of September, the Ryder Cup will take place at France’s Le Golf National, some 20 miles south west of Paris. It will be only the second time in the event’s history that it has taken place in Continental Europe. Excitement is building as balls are polished and greens are manicured to perfection. However, it’s not just the sporting world that is getting ready for the prestigious tournament – France’s property market is also preparing. In Gironde, for example, home to the Bordeaux wine region in south west France, golfers can pick up a beautiful country home, complete with five hectares of land and their own four holes. Stunning 360 degree views offer an ideal setting for driving and putting practice, while the large outdoor pool is perfect for cooling down in at the end of the day. 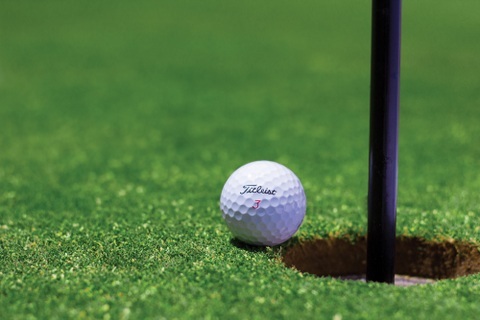 Of course, for serious golfers, four holes may well not be enough. Thankfully, France still makes the grade. Just an hour from Paris, this Templar farm comes complete with an 18-hole golf course designed by architects Patrick Fromanger and Mark Adam and spread over 53 acres of land. Dating back to the 12th century, the property has a dozen buildings in total, including a Club House restaurant and a pro shop. Oh I do like to be beside the RIVERside! With the summer holiday season just beginning, many of those visiting France will be doing so with one eye on the local property market. With 38% of tourist offices and other tourism bodies in France anticipating an increase in visitor numbers over the season, and 37% projecting stable activity, according to Atout France, that’s a lot of potential buyers. Indeed, France welcomed some 87.3 million visitors in 2017, making it the world’s most visited country. If even a small fraction of those holidaymakers turn their break into a property purchae, France’s property market could be in for a bumper summer season. In anticipation of this, premium French property agents FrenchEntrée have flagged up the popularity and benefits of riverside living, while showcasing the superb selection of riverside homes that buyers in France can access. From secluded riverside châteaux to high end apartments in a converted monastery, France is home to a wide range of unique riverside properties. 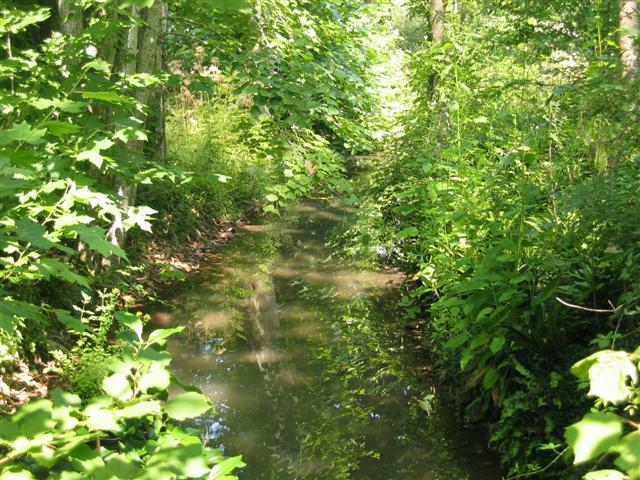 Riverside living is the ideal way to escape the over-stimulation of modern life and a connection to water has been shown to benefit both physical and our psychological health. It promotes relaxation and reduces stress. Indeed, the restorative nature of sea air has long been used to help people convalesce, while the serenity of riverside life has inspired everything from poetry to paintings. The cost of buying a riverside home in France can also be an advantage. In the popular, sunny Dordogne region, buyers can pick up a fully restored riverside property on a large plot of land for just €182,000 – well below the average UK property price. This restored riverside chateau between Sarlat and Souillac is set in verdant parkland. Close to the Dordogne valley, it boasts some exceptional original and characterful features from the 15th century building. The chateau is on the market for €609,000. Those looking for a smaller but still exceptional property will be delighted by this two-bedroom apartment in a converted monastery. The apartment is finished to a high standard, with on-site facilities including a large, heated swimming pool, pretty gardens and river access. Priced at €199,000. This highly desirable Dordogne riverside home has been fully resorted, including a new roof, gas central heating, electrics and plumbing. With its own frontage onto the Dordogne river, the property benefits from an unusually large plot, as well as being just 15 minutes from Bergerac airport. It is available for €182,000. Premium French property agents FrenchEntrée are gearing up for the annual ‘gîte-hunting season’ in France. Every July and August, British holidaymakers head across the channel in search of sunshine, relaxation and the perfect property, with gîtes offering the ideal blend of affordability and rental potential. Brittany, Normandy, Poitou-Charentes, Limousin, the Dordogne and Languedoc-Roussillon are all popular with British buyers. Each area offers its own unique charms. Brittany is all about coastal walks, wide sandy beaches, open skies and green hills. Normandy also boasts beautiful beaches, backed by rich farmland and overflowing with orchards. The inland Dordogne region, meanwhile, offers gently undulating hills, historic towns and magnificent river vistas. Of course, this being France, each area also offers its own unique, gourmet cuisine, focusing on fresh, local ingredients that change with the seasons. Every region also offers its own style of gîte. In technical terms, a gîte is a property that has an owner living nearby, to welcome guests and provide assistance. This means that many gîtes are former farmworkers’ cottages or outbuildings that have been converted into living accommodation. As such, they can vary in size – and price – quite considerably. This is excellent news for British buyers, as it means that there is a gîte to suit every budget. Gîtes are incredibly popular with tourists and are in abundant supply. Estimates suggest that there are five gîtes available for every person who wants to book one. Even with France topping the list of the world’s most visited countries, making a living from a gîte is unlikely in such a saturated marketplace. However, many would-be purchasers have a realistic view of this and are happy to factor only a few weeks’ rental income per year into their plans, according to FrenchEntrée. As such, let the gîte-hunting season begin! 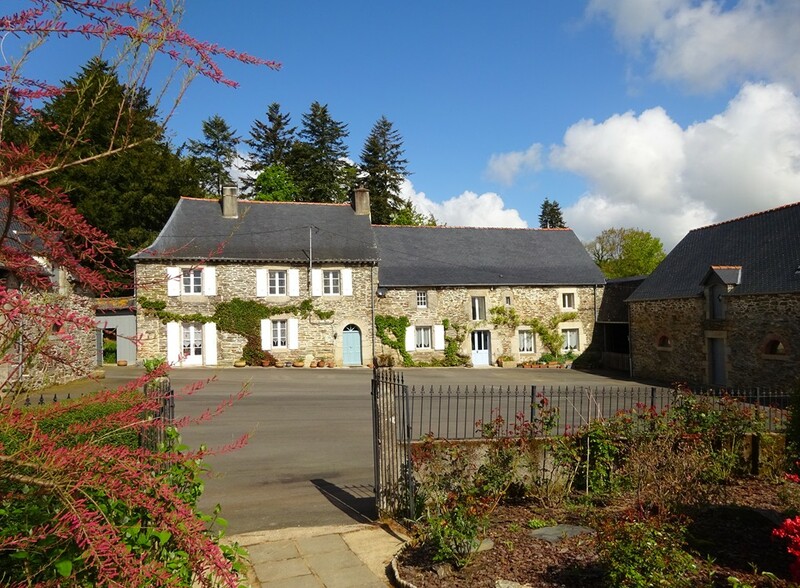 In the Uzel area of central Brittany, this delightful, renovated farm complex comes with three habitations, two of which are in use as gîtes. The property also benefits from a heated swimming pool, terraces, children’s play area and orchard. Set in almost 40 acres of land in the Charente-Maritime, Poitou-Charentes region, this stunning property is new to the market. The beautifully renovated stone house comes with two gîtes, spa with sauna and treatment rooms, saltwater pool and summer kitchen area and fabulous grounds, including an orchard and a meditation meadow. Buyers looking for more of a project will love this small chateau in Limousin, which is packed with potential for someone looking to create a fantastic gîte complex. Bordering a cascading river, the property has around 24 rooms, which could be separated into six or more dwellings. Packed with character, this property enjoys a scenic, peaceful setting that is perfect for promoting relaxation.